Sybil Derrible is an Associate Professor in Civil and Materials Engineering and Computer Science and the Director of the Complex and Sustainable Urban Networks (CSUN) Laboratory (csun.uic.edu) at the University of Illinois at Chicago. His research is at the nexus of urban metabolism, infrastructure planning and design, complexity science, and data science to redefine how cities are planned, designed, and operated for smart, sustainable, and resilient urban systems. Professor Derrible received a US National Science Foundation CAREER Award and he serves as an Associate Editor for the ASCE Journal of Infrastructure Systems. He is also the Chair of the Sustainable Urban Systems (SUS) Section of the International Society for Industrial Ecology (ISIE) and the Vie-Chair of the Critical Transportation Infrastructure Protection committee of the Transportation Research Board (TRB). Abstract: Cities all over the world are converting maps of their infrastructure systems from legacy formats (such as paper maps and CAD drawings) to Geographic Information Systems (GIS). While GIS offers myriads of opportunities to better manage infrastructure, the conversion process to GIS can be extremely challenging from a technical point of view. Moreover, the original data in a legacy format often contain errors and pieces of infrastructure are often missing. What is more, even once the conversion process is complete, the maintenance of the data and the fusion of the dataset with other datasets can be challenging. In this talk, a smart data management protocol is presented to successfully convert infrastructure maps from CAD to GIS that includes a data cleaning procedure in CAD and machine learning algorithmic solutions to validate or suggest edits of the infrastructure once converted to GIS. In addition, the protocol includes elements of version control to keep track of how urban infrastructure evolves over time and a procedure to combine GIS infrastructure maps with other datasets (such as socio-demographic data) that can be used for optimal scheduling of asset maintenance and repair. Overall, although much work remains to be done, smart data management is a key component of smart cities and aided by recent technological advances (such as machine learning), smart data management has the potential to completely transform how urban infrastructure systems are planned and operated. Song Bo is a professor of University of Science and Technology Beijing (USTB), Beijing, China. His main research fields is engaged in seismic mitigation on the urban infrastructure (bridge, harbor, power structure, etc. ); the optimization design of structure, dynamic analysis of complex engineering structures; comprehensive disaster prevention technology of urban and community. He also is director of the committee for anti-collapse of the Academy of Architecture of China, director of committee of soil dynamics of China, and the member of disaster prevention planning and review committee for the urban infrastructure of China. Abstract: Recently, there were significant damages of an urban structure due to the uneven settlement of soil. The uneven settlement of soil may be induced by excavation or piling. The influence of uneven settlement on underground pipelines and buildings are studied through the combination of on-site investigation and monitoring, numerical simulation and model test. The calculation method and the criterion of the influence domain were provided for the safety state assessment of pipe gallery or buildings. Waheed Uddin is the founding Director of Center for Advanced Infrastructure Technology (CAIT) and professor at University of Mississippi. Previously a pavement expert for the United Nations, he has worked, lectured, and made presentations worldwide in 28 countries. 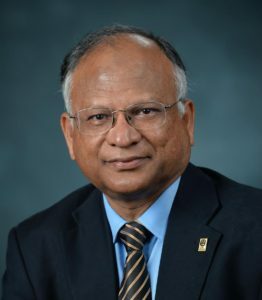 Dr. Uddin is Associate Director Research of the “The National Center for Intermodal Transportation for Economic Competitiveness (NCITEC)”, funded by $6.9 million total grant of the U.S. DOT – Research and Innovative Technology Administration (RITA). 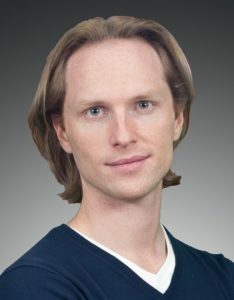 His current research interests include Intelligent Transportation System (ITS) deployment, geographical information system (GIS) applications, and the use of airborne and spaceborne remote sensing technologies for transportation, environmental, and disaster response applications. He is a co-author of “Infrastructure Management” book published by McGraw-Hill, Inc, 1997, in Japanese, 2001, and in Chinese, 2005. 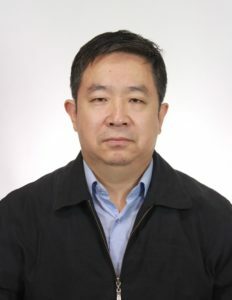 He is the Chief Editor of IJP-International Journal of Pavements and the Founding President of iSMARTi – international Society for Maintenance And Rehabilitation of Transport infrastructure (2004-07). Abstract: In recent decades, there has been accelerated growth in mobile communications, internet-based services, electrical vehicle (EV) and intelligent transportation system (ITS) infrastructure connected technologies, autonomous vehicles, and future commercial use of an unmanned aerial vehicle (UAV) and drones. These connected assets and more than one billion Internet of Things (IoT) devices to date and their accelerated growth provide tremendous opportunities to transform the traditional cities and grow to smart cities by substantially reducing the time and cost of supply chain and services to communities and businesses. The risks from breach of cyber security and electro-magnetic pulse (EMP) threats are emerging challenges to smart city infrastructure and smooth city operations. Resilience to natural hazards and risk of disasters are important challenges to sustainable smart cities. Several examples are presented of weather-related disasters from around the world, which impacted landlines and wireless communication infrastructure and a disrupted global supply chain. Computational modeling and risk mapping of natural disasters are imperative to minimize these risks and plan timely hardening of infrastructure assets for climate adaptation.